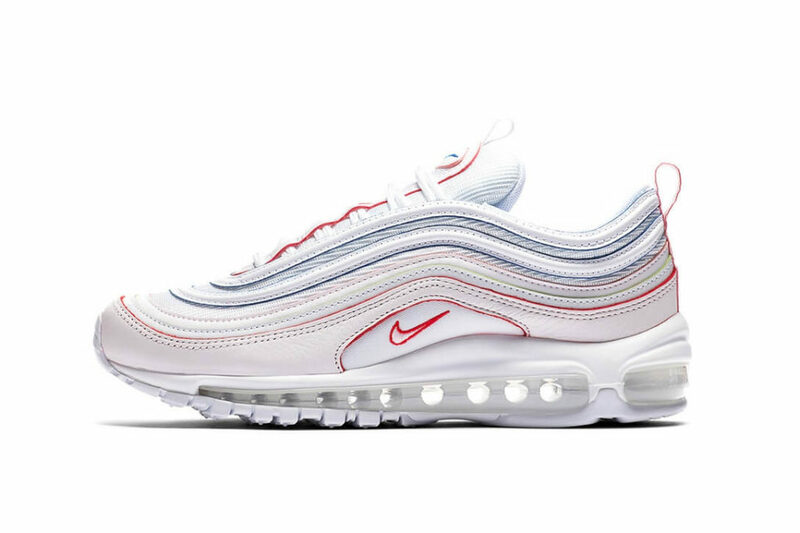 Possibly one of the best Spring/Summer colourways to drop in 2018 for the Nike Air Max 97. Nike recently released the multi-coloured Nike Air Max 95 and to follow theme Nike has quickly dropped an Air Max 97 colourway featuring the same colourway and details. 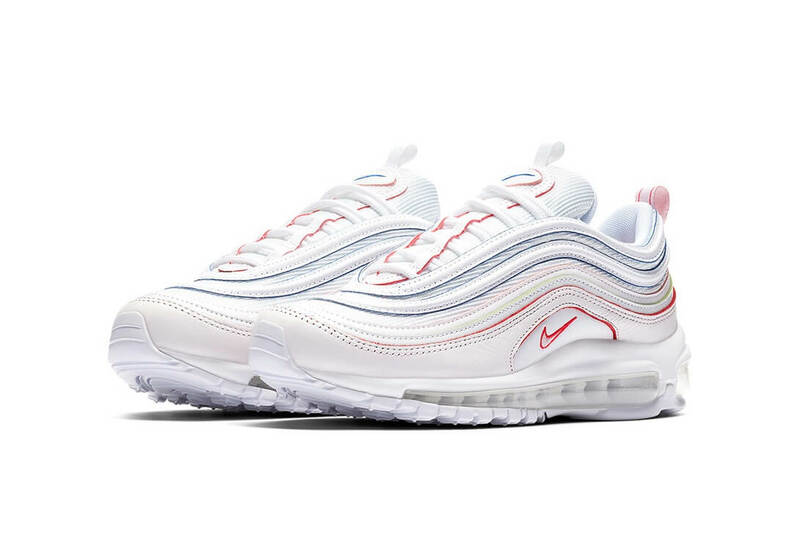 The 97 features a white base with soft panels of green, orange, red and blue tones running through the sidewall. The full length Air Max unit is detailed in white which compliments the upper of the sneaker. The side all the trainer also features Nike Swoosh logos in red to each side and to the tongue in blue. The sneaker also uses white Air Max 97 laces keeping with the spring summer theme. The sneaker is set to retail at £120 and will be released May 17 at selected Nike retailers.